Dried and dehydrated cherries are excellent snack foods and can be eaten just like raisins – as a nice, healthy and nutritious snack. They can also be used in baked goods, such as in muffins, bread, pancakes, or other items like this that allows you to add a little bit of cherry to something to make it more delicious! Wash your cherries and remove any stems or pits. Boil a pot of water and drop your cherries into the already boiling water for no more than 2 minutes – the skin will crack. Drain. Unlike blueberries, you do not have to rush them into ice water. Dehydrate your cherries in your dehydrator for 13-20 hours. Store your cherries in a clean, dry, and airtight container in a cool dark place. Soak in hot water for 15 minutes. Anywhere that you might use a raisin, you can also use a cherry. They are fairly versatile and go great in baked goods – or just as a nutritious little snack! An excellent item for storing in your pantry. Dried Cantaloupe might not be something you would think of right away in dried fruits, but it makes great snack food as well as a great addition in trail mix that will help spruce up your trail mix with a little extra something. Remove the cantaloupe’s rind and seeds – which can be saved for planting if your own garden if you are interested! Cut the cantaloupe into bite-sized pieces about 1/4″ thick, or into thin wedges. Dry the cantaloupe in your dehydrator for 10-16 hours at 135 degrees F.
Store dried cantaloupe in a clean, dry, and airtight container out of light. It’s not recommended that you rehydrate cantaloupe. Just use it as a snack or as an addition to a trail mix. Blueberries are an excellent item for your home preserves for emergency supplies – or just as a nice addition to everyday meals or baked goods. 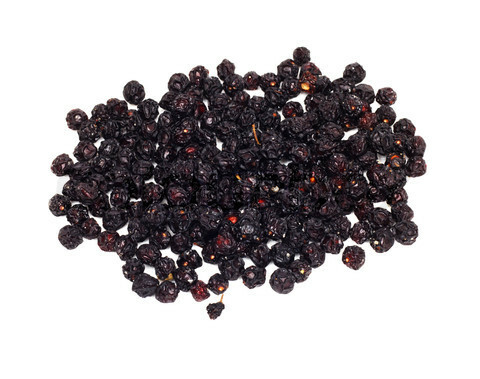 Dried blueberries are great in dried oats or oatmeal, or even in trail mixes. They also do not need to be rehydrated to be used in baking – such as in muffins, breads, pancakes, waffles, scones, or in so many other goods. You can also use them in home-made herbal tea. Wash and drain your blueberries. Remove the stems of your blueberries. Drop blueberries into already boiling water and let them boil until the skins crack. As soon as they crack, drain them and them immerse them in ice water so they stop cooking. Drain and place the boiled blueberries on cookie sheets in the freezer until frozen. Once frozen, dry them in your dehydrator for approximately 6-10 hours. Store your dried blueberries in a clean, airtight, and dry container in a cool, dark location. While dehydrating blueberries takes a little more work than other fruits, it is well worth the effort to have a container of dried blueberries handy to use – even if its just to make some fantastic blueberry muffins! Blackberries are a little tricky, but can prove a nice addition to your collection of dehydrated and preserved goods. Often, blackberries are loaded with seeds, so you may want to rehydrate them, puree them, and strain out the seeds. Wash and pat berries dry. Removes the stems from the blackberries. 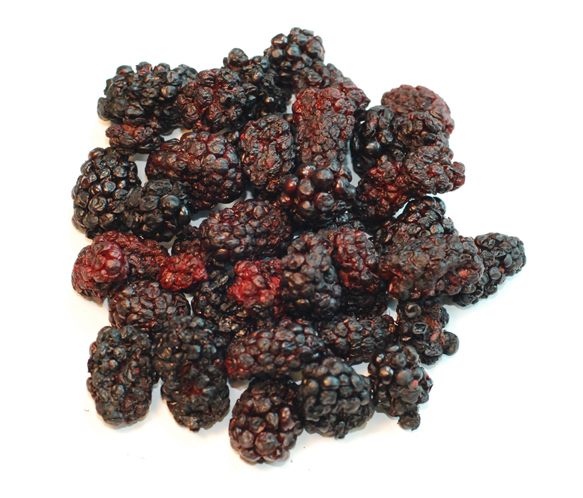 Use your dehydrator to dry your blackberries at 100 degrees F for about 10 hours – you want them to be brittle when done. Store your dried blackberries like all dried goods, in a dry, airtight container in a cool, dark place. You can use blackberries on ice cream, or in muffins or scones, or you can add them to trail mix. The Puree can be used in a number of ways as well – to make sauces and syrups, or to make your own cordial. Dried banana chips are an often favorite among dehydrated fruits. 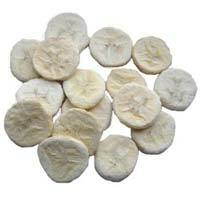 They are easy to eat and quite delicious, containing many good nutrients. Dried bananas can go in in trail mixes as well. Rehydrated banana chips are great in muffins, bread, oatmeal, pancakes, and in many other recipes that might call for fresh bananas. You can easily use older bananas to use for this as well – they do not need to be extremely fresh, just not overly squishy. Slice your bananas into 1/4 slices. You could make them thicker, but it will take longer. Pretreat your bananas in Fresh Fruit Produce Protector solution or in pineapple juice. Dehydrate your bananas in your dehydrator at 130 Degrees F for approximately 6-10 hours, until nice and crispy. Store your banana chips in a clean and air tight container in a dark and cool location. Soak in hot water for 10 minutes. 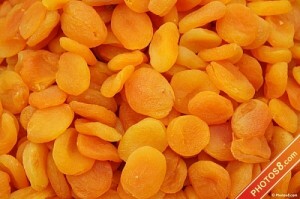 Apricots are a delicious and sweet item you can easily dehydrate and preserve in order to add to your prepper collection. They go fantastic as just snacks all on their own, but they can also be used for baking, in trail mixes, or to dress up oats or cereal. 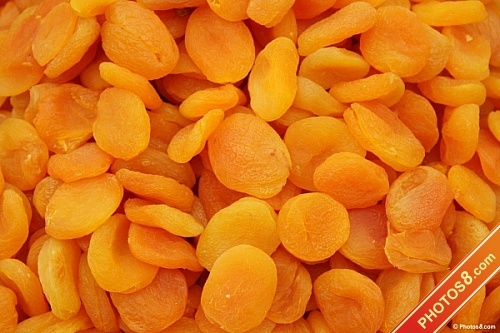 Cut your apricots in half to remove the pits. You can also chop them into quarters, slices, or cubes as well. Dry them in a dehydrator, skin side up, at 100 degrees F for approximately 48 hours. Store in a nice, dark place in airtight, dry, and clean containers. Keep in mind that light will damage them. Soak for 15 minutes in hot water. Whether rehydrated or dehydrated, apricots can have a fantastic affect on your dishes, adding wonderful flavor to what might be an ordinary, drab meal – plus they are nutritious and easy to preserve! Dehydrating apples is a simple process that can be made better with a little bit of cinnamon too! They have a lot of purposes – from being eaten on their own as snakes, to adding as rehydrated goods to pies, baked goods, pancakes, oatmeals, or in stuffing. Peal your apples unless you want the skin on them. Remove the core – an apple corer is an inexpensive item to get, and saves you a lot of work! (optional) You can pre-treat the apples in either a Fresh Fruit Produce Protector solution, or you can use lemon juice at the ratio of 1 cup water to 1 tbsp lemon juice. Cut fruit into desired shape – such as 1/4″ slices, wedges, cubes, or thin sliced for apple chips. 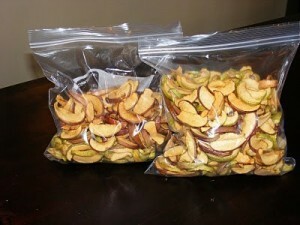 Dry the apples using a dehydrator at 100 degrees F for 8 hours, or until they are crispy. 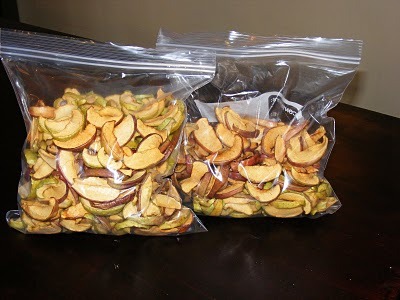 Store dehydrated apples in a clean, dry, airtight container away from sunlight – preferably somewhere cool and dark. Simply! Just soak in hot water for 15 minutes. You can add seasoning to your apples as well right before hydrating, such as cinnamon or brown sugar to add a little extra taste to them when they are done. They can be used as just a snack on their own, or as an addition to other recipes – for breads, muffins, pies, pancakes, oatmeal, and so much more. They are very versatile and keeping them on hand can help you make those “emergency” situations much nicer with a little bit of home preserved goodness to add to other, more blander, long term storage food.